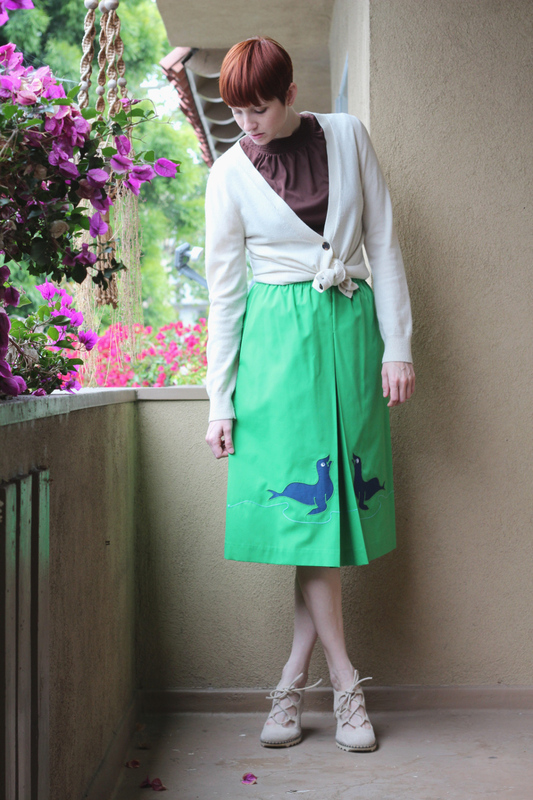 I mentioned this on Instagram when I first listed this skirt in the shop, but I can't help but think of Arrested Development every time I see these seals. Loose seals, haha! Anyway, this is just the cutest little 70s applique skirt I've seen in a long time. Super fun, a little bit nautical, and perfect for summer. Pair it with heels, pair it with gladiator sandals, pair it with flip flops...it really doesn't matter. This skirt will be the star of the show no matter how you style it!